February was a good—albeit controversial—month for discussions about race in this country. Not only was it the traditional Black History Month, but two race-centric bombshells rocked the country within the same news cycle. First, newly elected Virginia Gov. Ralph Northam admitted that he was the blackface character featured in his medical school yearbook page. Not surprisingly, he later changed his position and stated that he was not the blackface character. Likely as a result, he still remains governor of Virginia. As Virginia and the nation were reeling from the Northam scandal, it was also discovered that Jussie Smollett, star of the Fox TV show “Empire,” had fabricated what was initially deemed a racially charged assault upon himself in a pathetic attempt to increase his salary. Instead, his cowardly actions only served to prey on America’s knee-jerk paranoia when it comes to racial issues and acts of overt racism. These two episodes are fantastic case studies of how Americans have pivoted far off the course of healing and reconciliation around race. Furthermore, it is worth pointing out that episodes like these—particularly one that involves a totally fabricated, racially motivated attack—undo years of racial progress and only serve to further damage race relations and deepen the divide within our country. Let’s examine these two vignettes, which, on paper, could not be more different—a tale of two men who would never meet in a lifetime of lifetimes. On one hand, there is Northam, who clumsily, perhaps even stupidly, entered the court of righteous public judgment and was deemed guilty before his statehouse press conference was even over. On the other, you have Smollett, whose case was a beautiful example of the racial hatred that continues to stain this nation and President Donald Trump only encourages—or so it seemed. News commentators, Hollywood actors, and politicians alike were all quick to blindly offer support to Smollett, despite his questionable account of events, simply because his “story” fit perfectly into their anti-Trump narrative. In the aftermath of all of this, I wonder, how do we begin a new level of discussion and, hopefully, healing in America? As a society of many colors, not just black and white, are we not able to or perhaps not allowed to openly admit that mistakes dealing with race and prejudice of many other ilks are—as in Northam’s case—most often driven by insensitive foolishness and prejudice rather than maniacal hatred? Perhaps rather than defaulting to “mob rule” in instances like the Northam case, we should use these difficult times as teaching moments. If we don’t, we’re likely to encourage more Smolletts who see opportunities to profit financially and politically from America’s current paranoia and mob rule insistence on a lifetime of politically correct behavior. Perhaps Northam and Smollett and cases like theirs can be catalysts that usher in awareness and understanding. When examined separately from each other, the stories of Northam and Smollett may simply be two different and isolated examples of race and racism. Yet a closer look reveals how similar these two events are. At their core, they both represent a mob-style reaction to accusation. We’ve come to the point in America where everything can be lost and destroyed in a media-fueled frenzy of hatred. 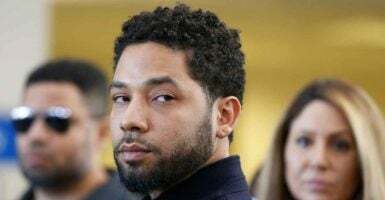 Sometimes, as in Smollett’s case, the accusers can be caught and their lies exposed. Sometimes, those who falsely accuse and prosecute are found to have been the true criminals. 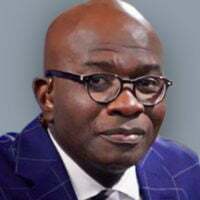 Yet, even if the truth comes out in time—or in a court of law—those who find themselves attacked in the media suffer greatly. They have to endure the destruction of their reputations and deal with hardship at home as their family reels from relentless media harassment, and—whether they must pay to defend themselves in a court of law or merely in the court of public opinion—they are often stung with a financial cost that can exceed millions of dollars. Where do we turn for help and for hope? I think we need to turn to people who have gained the wisdom that can sometimes come only from suffering. Consider, for example, how former Virginia Gov. Bob McDonnell is now serving us all. McDonnell’s story, in case you don’t remember it, represents one of the true miscarriages of justice in recent American political history. Hounded by the media and opposition politicians and prosecutors, McDonnell was charged with felonies on flimsy evidence and false reasoning. He was convicted. His family was put through years of media harassment and stung with millions of dollars in debt. Ultimately, McDonnell’s case made its way to the Supreme Court of the United States of America, where it found—unanimously—that McDonnell was innocent. Yes, you read that right. A governor was charged, convicted, harassed, and humiliated for years, and he was innocent all along. Imagine how you or your family would feel in a case like that? Well, McDonnell could have engaged in his own pity party and portrayed himself as yet another victim of politics. Instead, today, he’s leading a much-needed honest and heartfelt conversation on race and reconciliation. Few Americans have suffered what McDonnell did, but perhaps we can all take from his example. We all have within us the power to help others heal if, despite the pain of the past, we have the courage to engage in honest conversation.